"The courts of justice shall be open to every person, and certain remedy afforded for every injury to person, property or character, and that right and justice shall be administered without sale, denial or delay." The 16th Judicial Circuit is located in Jackson County, Missouri and is part of the state court system. There are 45 circuits in Missouri. Some circuits serve several counties, but the 16th Circuit Court includes only Jackson County. The 16th Circuit Court is a court of general jurisdiction and the types of cases filed include criminal, civil, probate, juvenile and associate circuit matters such as small claims. 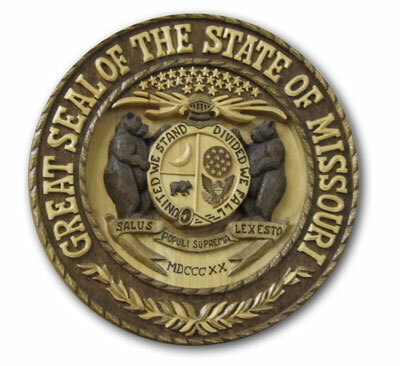 Cases that are appealed from the 16th Circuit Court go to the Missouri Court of Appeals for the Western District which is located in Kansas City. If the case is appealed from the appellate court, it goes to the Supreme Court of Missouri located in Jefferson City. In addition to the Circuit Court, Jackson County also has 16 municipal courts where misdemeanor cases are heard for offenses and code violations that occur within the city limits of the various municipalities. There is also a Jackson County Municipal Court located in Independence. That Court hears cases related to tickets issued by the Jackson County Sheriff's Department. The 16th Circuit Court is comprised of 19 circuit judges, 10 associate circuit judges and eight commissioners. Judges are appointed according to the Non-Partisan Court Plan. (More information about the plan is available on this website under "About the Court.") Circuit judges serve a term of six years, and associate circuit judges serve a term of four years. Commissioners are appointed to a four year term by the judges sitting as a whole, or as a court en banc. The judges hear cases at four locations. Nineteen judges and four commissioners sit at the Jackson County Courthouse downtown located at 415 E. 12th Street, Kansas City, Missouri, 64106. Ten judges and one commissioner sit at the Eastern Jackson County Courthouse located at 308 W. Kansas, Independence, Missouri 64050. At the Albert Riederer Community Justice Complex, one circuit and one associate circuit judge from the downtown courthouse, who serve a one year assignment, oversee arraignments and preliminary hearings before a case is transferred to a trial division. The criminal building is one block south of the downtown courthouse at 1315 Locust, Kansas City, Missouri, 64106. Juvenile matters are handled at the Family Justice Center, 625 E. 26th Street, Kansas City, Missouri, 64108. Juvenile cases are overseen by one circuit judge, who serves a two year assignment to the Family Court, and three commissioners. In addition to judicial functions, the Court oversees the staff and services provided by the Jackson County Juvenile Detention Center, also located at 26th and Cherry Street, and the Hilltop Coeducational Treatment Center in Lee's Summit, Missouri. In 2018, there were 93,112 filings made to the Court. Annual statistical reports that contain additional filing information can be found on the Court's website under "About the Court."